During the last week of January, a group of five bloggers (including myself) were invited to take part in a full-on week of activity as a way of thoroughly the Witch Skincare and make-up to the test to see how our skin coped. Day two of the challenge is the ultimate in stress-inducing experiences. You have a budget of £20 and 30mins to find an outfit in the mother of all discount stores – Primark, Oxford Street. Luckily, it wasn’t as horrendously busy as usual so managed to pick up an outfit of black skinny jeans and a blouse… plus a turquoise ring for a bang-on total of £20. But there is no denying that I left Primarni feeling like my blood pressure was through the roof and in need of a good drink. Yes, I watch Pineapple Dance Studios *and* Louis Spence’s Show Business…. so this was pretty exciting for me. 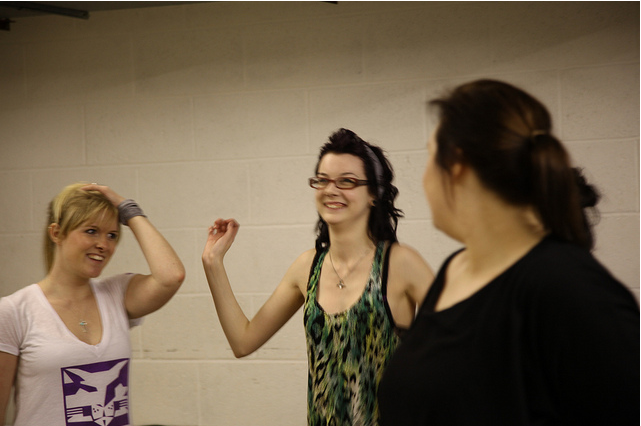 Oh, and throw in the fact that I secretly wish I was a dancer….yep, very exciting. Sadly this was my opportunity to realise that I actually was not blessed with rhythm, or general coordination. But I did my best and tried to get my left and right in the right order at the right time. I came away feeling like the sixth member of girls aloud and in need of a good shower. Another chance to put the products to the test – especially the redness relief moisturiser! As if to counter act the cheesy, camp-fest that is Pineapple for the next day of the challenge we ventured into Soho to the rather fabulous and very classy Ronnie Scott’s for a night of appreciating Jazz music and being generally civilized. 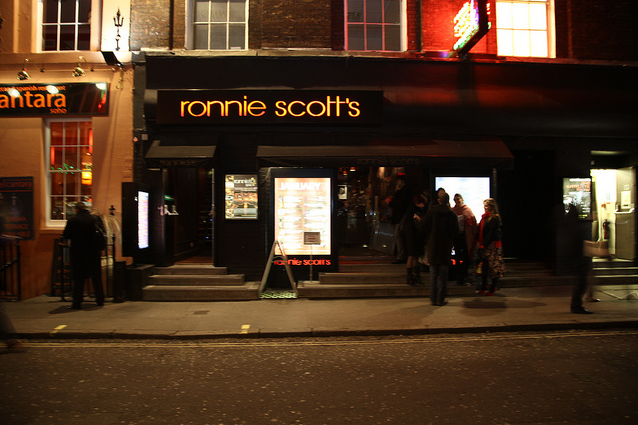 I’d wholeheartedly recommend going to Ronnie Scott’s if you get the chance, whatever your taste in music as it really is a fabulous and unique venue. This was a fairly late one and I was starting to feel a bit worn after a busy week of socialising. Ah, food glorious food. 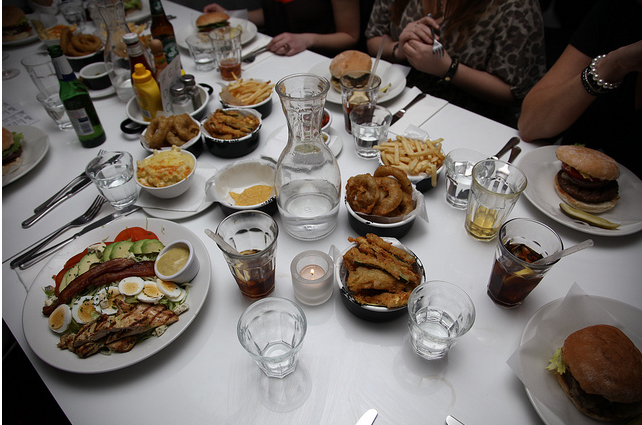 Today’s challenge was to eat the largest possible volume of greasy food possible. I wimped out a bit and chose a salad (that’s mine in the bottom left of the picture) as you can see, it’s hardly the healthiest salad, but boy was it tasty… yum! Plus a side of macaroni cheese… nom nom nom. 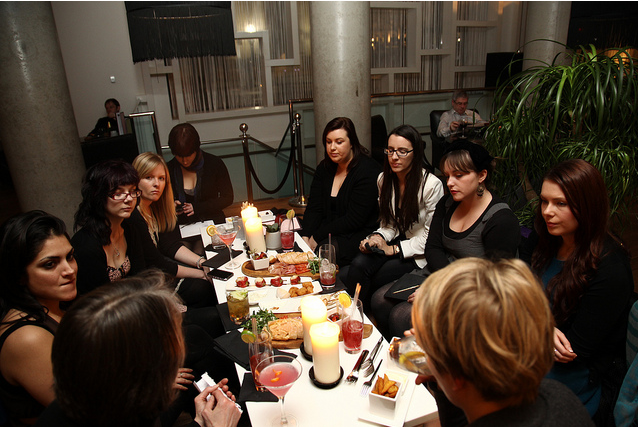 To see more pics from the Challenge week you can visit the Witch Skincare Flickr Page. I don’t particularly suffer from spots, other than the odd hormonal one. But I do have a shiny t-zone and hate the feeling of having a greasy shiny face. I like how this primer manages to de-shine and create a bit of a layer between skin and make-up, so it doesn’t feel quite so heavy on the skin and keeps make-up in place for longer (rather than sliding off my t-zone as it tends to). I’ve used various redness/calming products in the past, most recently the Dermalogica version. I like the Dermalogica one, although is quite lightweight, so if you have dry skin this may not be enough. I like the Witch version as I can’t tell the difference between the two and Witch is much cheaper! Whilst I don’t love the brush applicator (it’s too long so hard to do precise application and kinda feel the brush is prone to build up/getting grubby? I’d prefer a roller ball..) but that aside, I can’t deny this worked really well. On the Thursday night, post-Ronnie Scott’s I felt a spot brewing, so I gave it a whirl and by morning the spot had shrunk (not quite vanished, but shrunk significantly) and basically never materialised. Happy beauty blogger. I have already done a run down of the skin care products from Witch that I am really liking at the moment in my ‘current skin care‘ post – so do check that out if you want to read more about those. 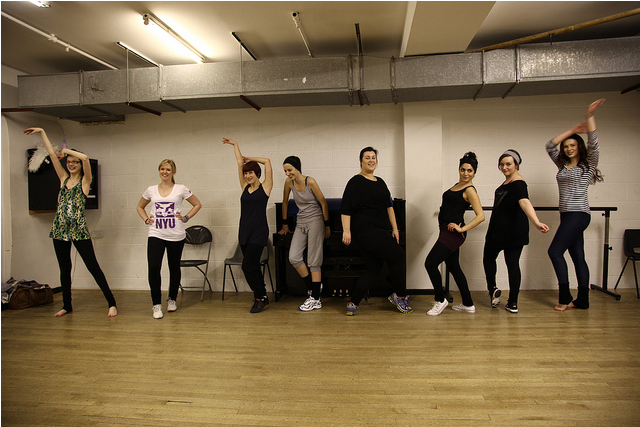 Also, do pop over to the blogs for the other girls who took part in the challenge and see what they thought! I’m also going to be running a competition to win a selection of Witch products, as chosen by me! So stay tuned for that! All product and activities mentioned in this post were provided as part of the challenge. 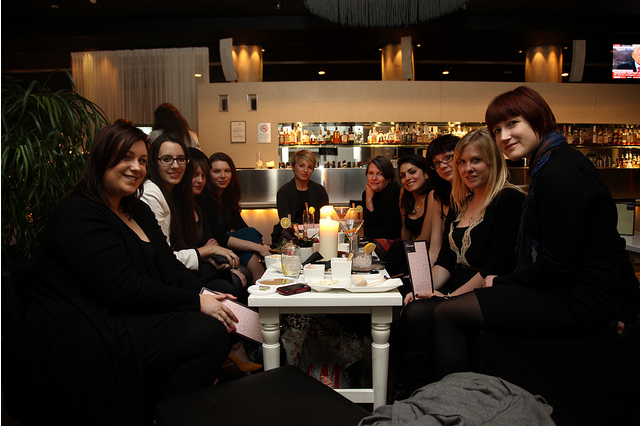 It was a lot of fun, definitely needed a lie-in on Saturday though, I was shattered! Yep, that’s my salad with lots of egg, bacon, chicken, cheese… (oh, and salad and tomato, but I left those bits…) should have just had a burger!